DataSolutions is delighted to introduce you to HPE Engage & Grow, an incentive program from Hewlett Packard Enterprise to motivate, educate and recognise sales representatives of authorised resellers for their success, knowledge and sales of qualifying HPE Aruba products and services. In addition to rewards for sales achievements, partner sales representatives have the opportunity to participate in many different product, solutions and program training and participate in contests and sweepstakes. 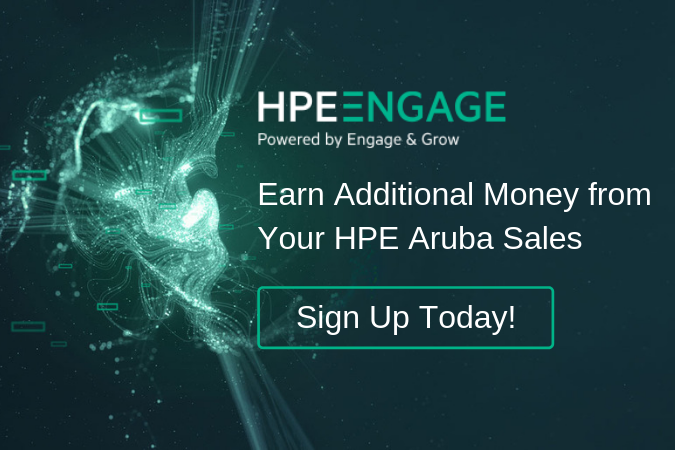 Enrol today to learn more about Engage & Grow rewards and experience this best in class program designed to provide you with robust access to all the incentives, sales tools and education you will need to be successful in winning with HPE Aruba! The future of Wi-Fi is here - What is 802.11AX (Wi-Fi 6)?